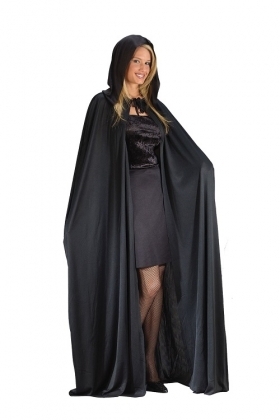 68 inch long poly-cotton cape with hood has tie closure. Measures 47 inches from the shoulder down. The 68 inches is from the top of the hood to the hem.